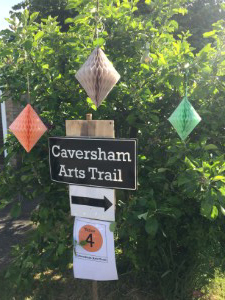 After a break of two years, Caversham Arts Trail was back in May. It was great to welcome visitors old and new. 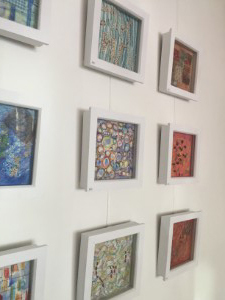 Liz had a new range of work on show – prints, collage, mixed media, cards and gave a demonstration of mixed media. 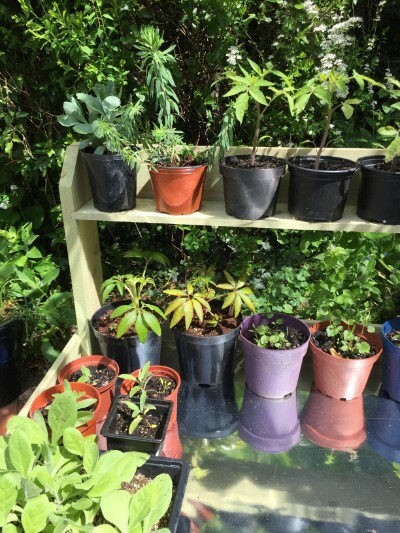 loads of ‘art trailers’ and also managed to raise over £100 for Launchpad Reading - www.launchpadreading.org.uk through the sale of plants. 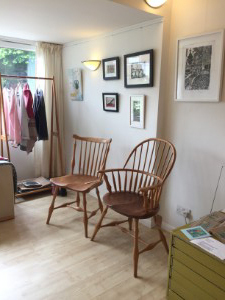 Thank you to all our supporters who visited venue 4! 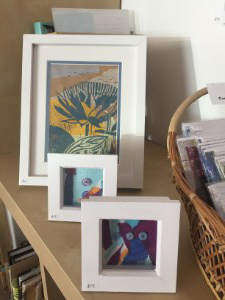 Tuesday 6 November – Saturday 17 November 2018 in the new HolyBrook Gallery, Central Library, Reading. A two-man show with fellow RGA artist, Martina Hildebrandt. 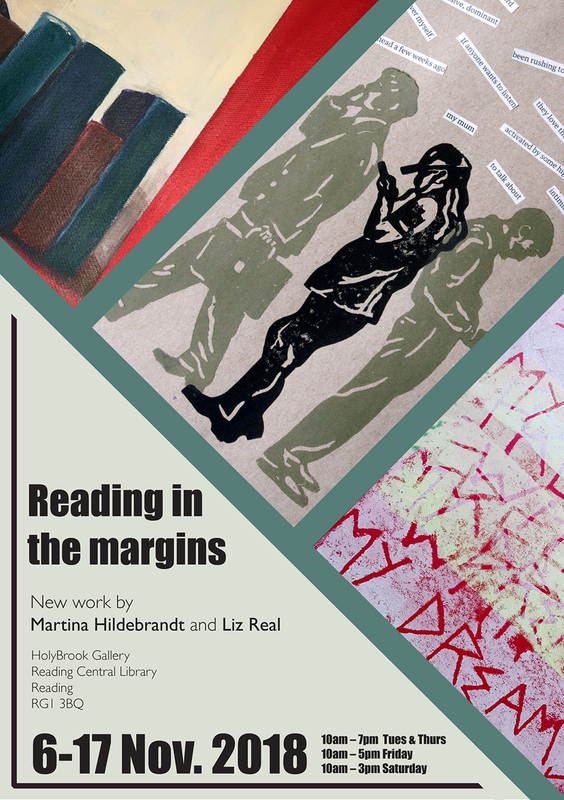 An exhibition of new work: linocuts, mixed-media, painting and collage based around the theme of the margins of Reading in every sense of the word. 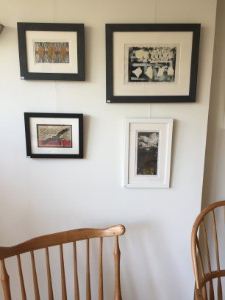 Martina’s work will feature women of Reading within her strolling figures series while Liz will include a series of works inspired by her visit to Reading Prison when it was open to the public a couple of years ago as well as other features of our town that are ‘on the edge’. Please note that in addition to the dates set out on the flyer, the exhibition is also open on Monday 13 November.